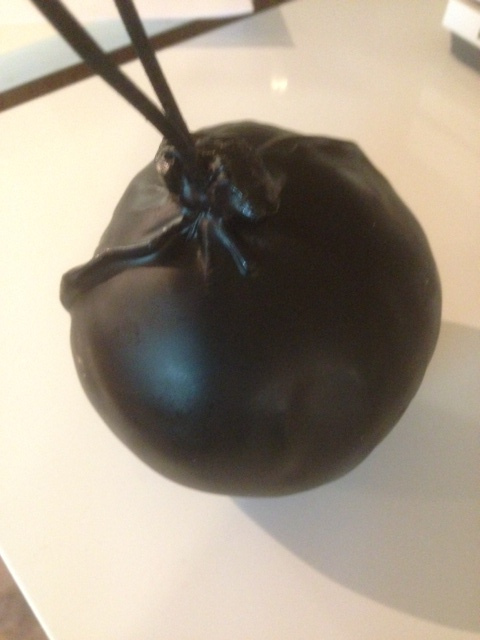 The Lancashire Bomb, sometime referred to as the Black Lancashire Bomb is rather self explanatory – it’s in customary black wax, shaped like a bomb, and yep, you’ve got it, made in Lancashire! Sound a bit gimmicky? Well don’t be fooled. The Lancashire Black Bomb Cheese is the creation of the Shorrock family run dairy, which has operated out of Goosnargh, near Preston in Lancashire since 1923. All Lancashire Bomb Cheese are hand made, matured for a minimum of two years, wrapped in muslin and then dipped into wax, to produce this much talked about great tasting and original cheese product. This cheese is a huge hit not only with the North of England, but due to its originality, its reputation precedes it throughout the South too. And deservedly so, with Andrew Shorrock receiving prestigious prizes in 2006 at the Royal Lancashire Agricultural Show for the cheese. Due to the maturation, the Lancashire Bomber has a deeply creamy taste. It is full flavoured, beautifully textured and with a reportedly ‘fierce and powerful Lancashire cheese’. The original Lancashire Bomb Cheese is superb by itself, as part of a cheese board coupled with some fruit, grapes go especially well, or with a full bodied red wine. As the size suggests (coming in at 460g per bomb) it lends itself brilliantly as the main attraction of a cheese board with friends, though a Lancashire Bomb will keep for 12 months unopened and four weeks once opened, so could be enjoyed repeatedly for smaller groups. It’s also a great warming dish, on toast coupled with a red chilli chutney or jelly.